It sounds better than it is. Star Wars is back in theaters. “See it again for the first time.” Before 1999 this would have been incredible huge news, and of course in 1999 it was huge news. Back then we hadn’t seen any new Star Wars movie hit the big screen since 1985, when the last reels of Return of the Jedi played in dollar theaters across the country. And we all lined up around the block at theaters to see this new Star Wars, this time a big “prequel,” and what would be the film to define that word forever after. The first time the words Star Wars appeared at the top of the familiar scroll and John Williams trumpets blared from nowhere, no audience was silent. 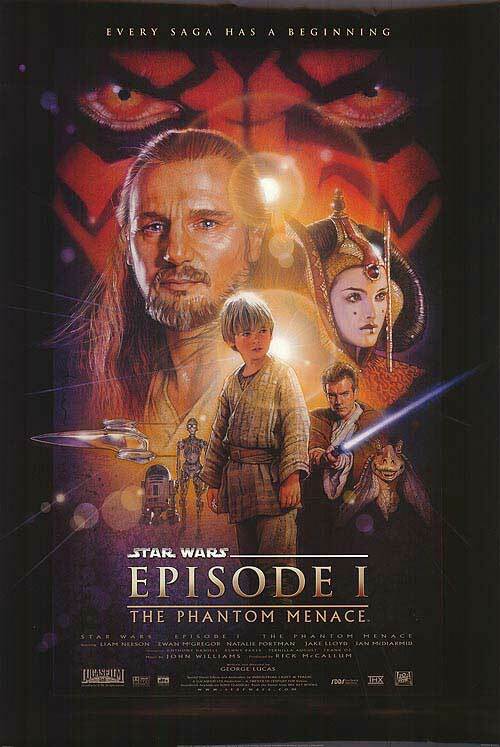 Star Wars Episode I: The Phantom Menace was finally here! And then the movie began. And there was talk of tariffs…and…what’s that? Tariffs? Trade routes? And the wincing started. And it didn’t really end until Star Wars III: Revenge of the Sith showed Darth Vader walking like Frankenstein. I’ve always said the reason why franchises succeed is because of checks and balances and the involvement in every enterprise of several creative minds. When one guy makes all the decisions, and presumably everyone around him is afraid to question his vision, the result is Episode 1. That said, 1999 was a long time ago. By now you have probably watched Episode 1 on cable more times than you would admit, simply because nothing else good was on, and, isn’t a little Star Wars universe better than no Star Wars universe? And maybe you know some kids who weren’t going to movies in 1999. If so, then, whether or not you love or less-than-love Episode 1, you’d be nuts not to grab that kid and go see it again. Wait a second, what’s that you said about wincing? I know. 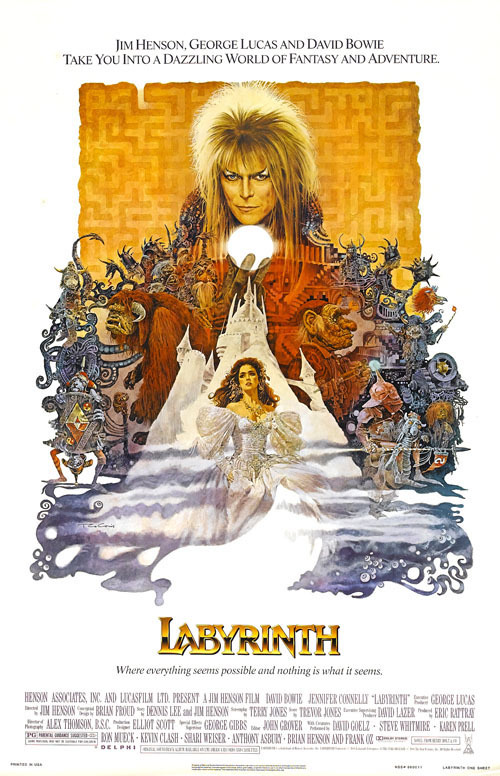 You can come up with so many reasons to avoid this movie: (1) Everyone blames Jar Jar for everything, global warming, the economy… Personally, if George Lucas was aiming at kids just a bit with this character, then fine. He’s only annoying when you consider being an adult viewer. If Jar Jar was the only oddity in Episode 1, everyone would have little bad to say about the film. (2) But you have to add to Jar Jar things like the stupefying midichlorians, an unwanted scientific explanation for the existence of Jedi that instantly shifted all this great space fantasy to questionable science fiction. It was an unnecessary concept that made the possibility that anyone could become a Jedi, even young hopeful Earthlings, vanish. You gotta have the noble blood. Lame. (3) And I already mentioned the pure excitement of discussing trade routes. As a concept later in the prequel trilogy this might have worked, but as the first thing we saw, it started us out wrong. 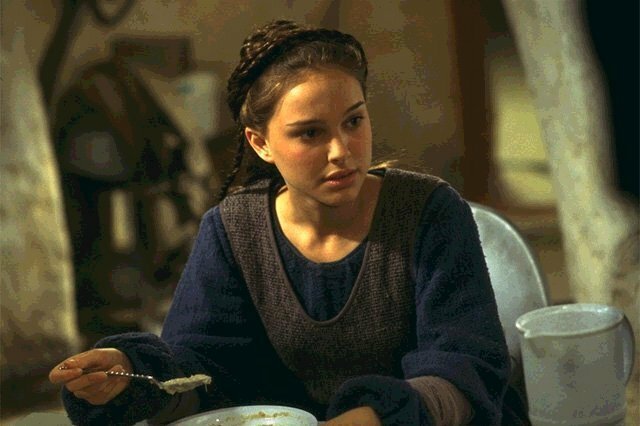 (4) Then you have Queen Amidala. What could have been used to explain the strength, leadership, and determination of Princess Leia became one of the most pathetic attempts at strong women leaders put on screen. In Episode 1, she is foreshadowed to be paired with this much younger and smaller boy. It all seemed so wrong. In all three prequels she never gets to do anything, with all her greatness happening apparently off-screen. (5) And to top off the bad, the one character we cared about, that we wanted to see, was never Anakin. It was Obi-Wan Kenobi. The guy who first whispered about the clone wars to us. His past was key to everything. And in Episode 1 instead of someone awe-inspiring we got a young, pompous, arrogant jerk with a goofy haircut. We didn’t want to idolize Jedi Knights as protectors who were better than the rest of us. We wanted Jedi who would stand shoulder to shoulder with the little guy. Samurai, not WWII military police. 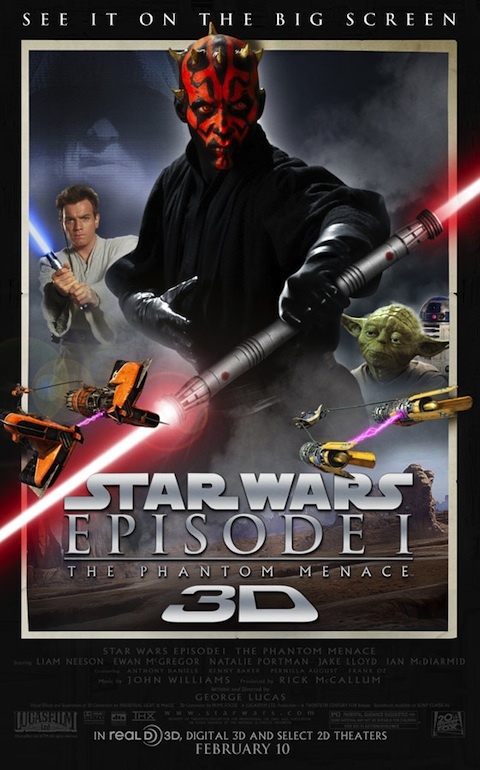 (6) Phantom Menace as a title, announced well before the release, was indicative of the weird we’d get. Luckily all the other titles were far better. (7) Haven’t we already given enough of our earnings to the House of Lucas? (8) One final thing (because we could go on forever): CGI Yoda can’t touch Muppet Yoda from The Empire Strikes Back. ’nuff said. So there is a lot to wince at. But then again maybe we should all just lighten up and go with it. Criticizing Episode 1 is too easy. Don’t be Simon Pegg in the TV series Spaced. Unlearn what you have learned. Why should I go to see it, you ask? First, Darth Maul. More specifically, Ray Park’s performance as Darth Maul. If they didn’t get anything else right with Episode 1, they finally gave us a lightsaber battle worthy of the Jedi and an acrobatic athlete up to the task of taking on knights in space. And Maul’s red center-handled lightsaber could not have been a better designed weapon. Although we questioned the red face and horns, at the time we didn’t know that he was but the first in a line of several prospective alien lieutenants of varying races that were being tested to be the Emperor’s one right-hand man. Although he was only half as cool as he should have been, with his stilted dialogue and inexplicable removal of a little boy from his mother (leaving her to be a slave! ), Liam Neeson’s Qui-Gonn Jinn had a very cool look, and for what Lucas was attempting to do, he gave us a leader we all would happily follow. 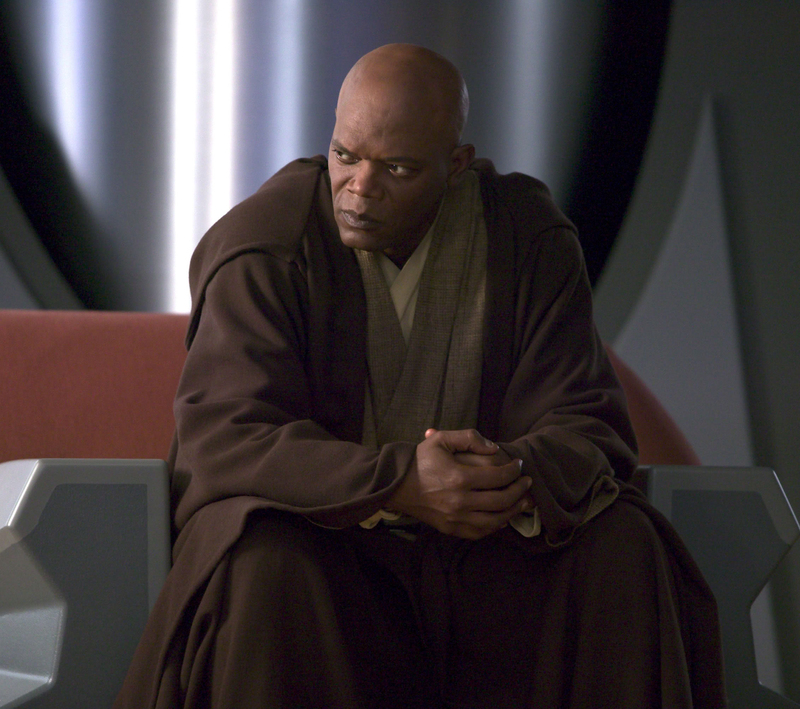 And where he was lacking, we got to meet an even cooler Jedi, Mace Windu, played by Samuel L. Jackson. His calm coolness worked, even if he didn’t get to do much yet. 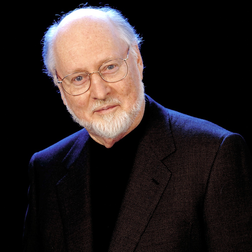 And one contributor to the Star Wars universe who never failed was John Williams. His new score for Episode 1 was on par with Return of the Jedi. 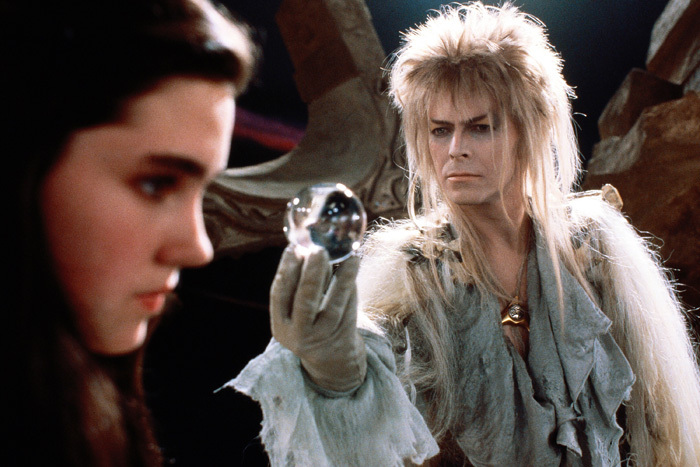 Sure it was darker and less magical, but it reflected the story Williams was handed. The seemingly never-ending pod race would have been far more painful without his new theme. The “duel of the fates” of the climax would have been far less foreboding without his incredible soundtrack. Next, the costumes were just awesome. Check out all of Natalie Portman’s 3,761 dresses. And the set design and sound can’t be beat. Finally, the nostalgia and pure fun may be all the reason you need to see this one. Anthony Daniels as C-3Po. 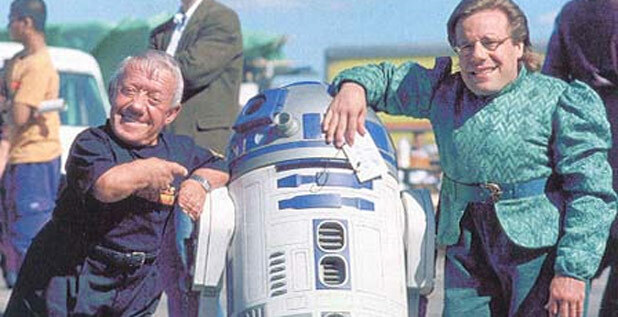 Kenny Baker as R2-D2. Tusken Raiders on Tatooine almost changing the future of the galaxy with a single rifle shot at a little boy in a pod race. Cameos by Warwick Davis and former Star Wars, Star Trek and Lord of the Rings fan club president Dan Madsen! Emperor Zod as a good guy! And who doesn’t like 3D? Just pop some Excedrin before you go. It might help prevent the headache behind your eyes. 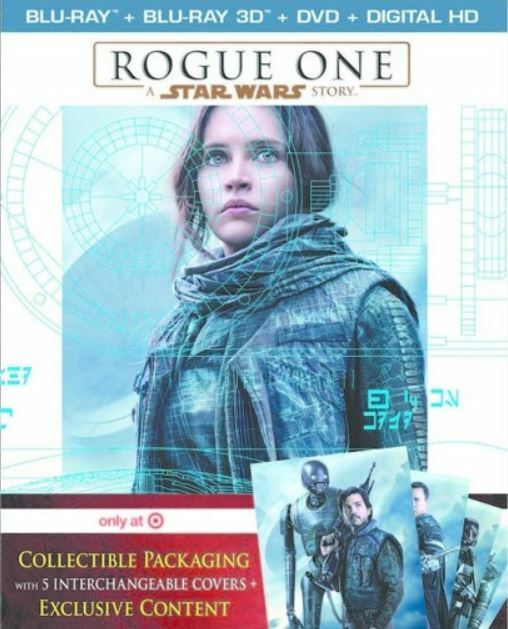 Besides, putting aside the way cool and creepy Daniel Radcliffe movie The Woman in Red, or the 3D version of Disney’s best animated work, Beauty and the Beast, what else are you going to see in theaters this weekend that is any better than the Star Wars universe in 3D? Extremely Loud and Incredibly Close? The Vow? The Grey? There are three great reasons right there to buy tickets for Episode 1 in 3D before they’re sold out. And it might whet your appetite while you wait for a better film to return, Attack of the Clones, and then later the real fun begins–the original Star Wars in 3D and then The Empire Strikes Back in 3D.